While previously Tax Invoices could be ‘Deleted’, you are now able to ‘Cancel’ your Invoices. The “Cancel Invoice” can be found on any of your Unpaid or Overdue Invoice screens. 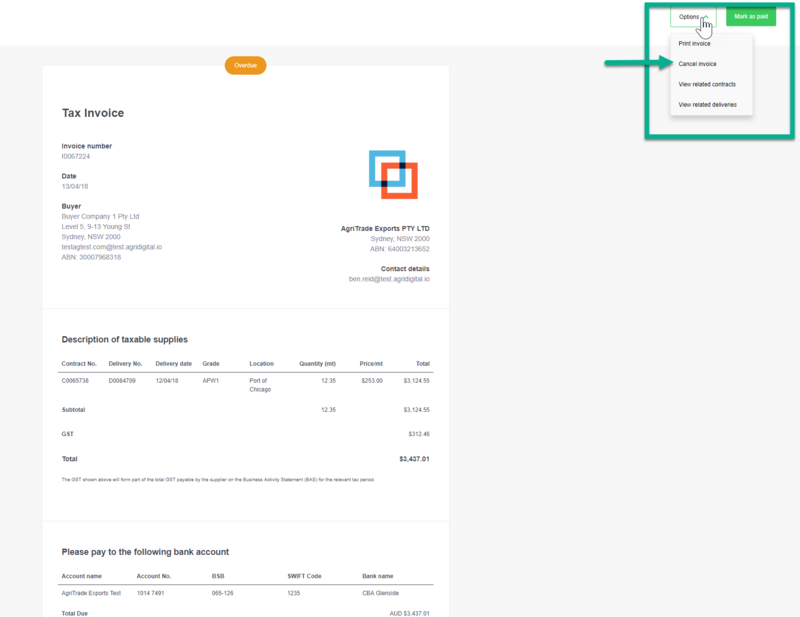 Once you havecancelledyour Invoice, you can make any changes toContract orDelivery details and reissue the Invoice to the counterparty. The Cancelled will remain in your Invoice list with a red status, creating a full audit trail of any Invoice created in your system. Overdue Invoices have a new orange status to distinguish from the Cancelled Invoices.